What is a Grant of Probate or Letters of Administration? When someone dies, it is often necessary to obtain a Grant or Probate or Letters of Administration to deal with their estate (i.e. their property, money and/or possessions). A Grant of Probate gives the Executors named in a Will the legal right to sell, gift or otherwise dispose of the deceased’s estate in accordance with their Will. Letters of Administration, on the other hand, are necessary where the deceased did not leave a Will or where there is a Will but no Executors are appointed. In this instance there is an order, laid down by statute, as to who can make the application to obtain Letters of Administration. Priority is given in the following order: a surviving spouse, children, grandchildren, surviving parents, siblings, nieces/nephews and then any other relative. A Grant of Probate or Letters of Administration may not be required where assets pass to the spouse or civil partner due to them being held in joint names (for example, a joint owned property or a joint bank account). However, every financial institution has its own rules and therefore there is no guarantee that a Grant of Probate or Letters of Administration will not be required. Where any property was owned solely by the deceased or substantial funds are held in the deceased’s sole bank account, a Grant of Probate or Letters of Administration will almost certainly be required. For informed and comprehensive advice in relation to obtaining a Grant of Probate or Letters of Administration, please telephone 01267 237441 (Option 2) to arrange an appointment with our experienced Wills & Probate team. Property Fraud is on the increase – Beware!! Recent reports in the National Press state that the scale of property fraud has hit record levels with over £100 million lost to property fraudsters in just the last 6 months in England and Wales, as ever increasing complex schemes have been used to defraud people moving house, their Lenders and their Solicitors. Criminals are using their computer hacking skills to intercept e-mails and fool Solicitors and their clients into transferring large sums of money into fake accounts. Fraudsters also pose as legitimate owners of property. In some cases fraudsters have used private correspondence sent to an address to take on the owner’s identity before carrying out a sale with an unsuspected buyer and making off with the proceeds. 1. at UTK, we will always try and meet our Clients face to face and verify their identity and seek evidence of proof of address. By seeing the original documents of identity, including photographic evidence such as a passport, we can then compare this to the Client in front of us. 2. if you have provided your Bank details by e-mail, these should be verified by telephone. Likewise we will never advise any of our Clients of a change in our bank details via e-mail. If you are at all suspicious as to whether any e-mail has come from your Solicitor, you should always telephone to check. It is better to be safe than sorry! 4. undertaking regular checks of the internet and Law Society websites to ensure no fraudsters are trying to copy our identity or the identity of any of our individual Solicitors. We do everything we can in order to protect both ourselves and our Clients and as members of the Law Society Quality Conveyancing Scheme, we keep up to date with all of the latest professional practices to reduce this risk as much as possible. For further information please contact our Solicitors in our Property Department on (01267) 237441. During our recent visit to the Welsh Game Fair, we were reminded by someone who came to talk to us that it is all too easy, once someone dies, to overlook the fact that they may have owned Premium Bonds. Unlike many other assets, Premium Bonds do not pay any income and, unless the person who has died had a substantial holding and therefore receives prizes on a regular basis, the fact of them having owned Premium Bonds is unlikely to be picked up either from bank statements or from their other paperwork. With a small holding of Premium Bonds, the only paperwork may be the original holder card and bond certificate(s) which may date back many years. 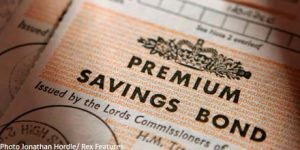 As such, if there is any doubt about the existence of Premium Bonds, it is a good idea to contact the Premium Bond Office of National Savings and Investments to check as to the possible existence of Bonds. This is one of the matters that we will routinely check if we are dealing with an estate and it is one of many aspects which it is all too easy to overlook if you handle this yourself. If you would like help or advice about what to do, then please contact us on (01267) 237441.